HHC is Hella Holo Customs, which is a secret group on facebook that invites various brands to make custom polishes for the group. The polishes are exclusive to the group, so you must be a member to purchase them. 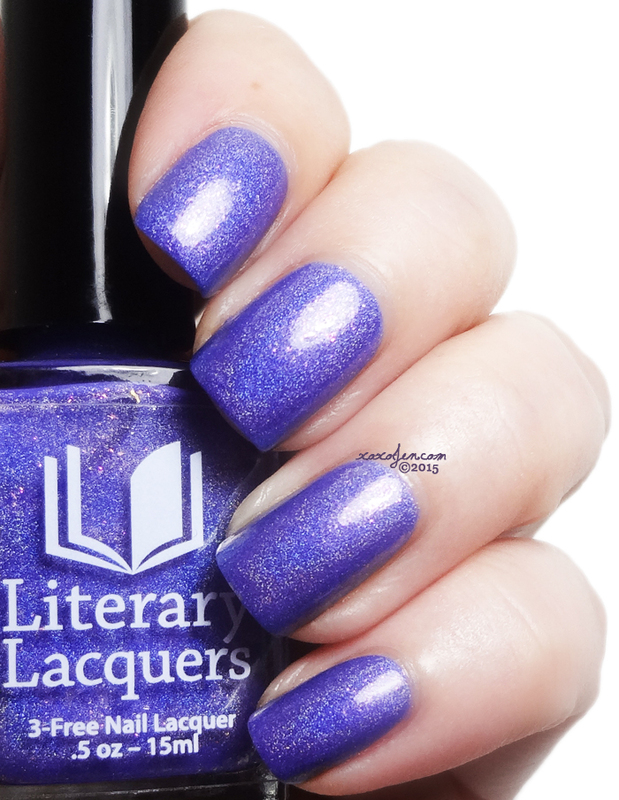 These are the three polishes made by Literary Lacquers for the group, and I think she did a fantastic job. Each of them unusual and stunning. 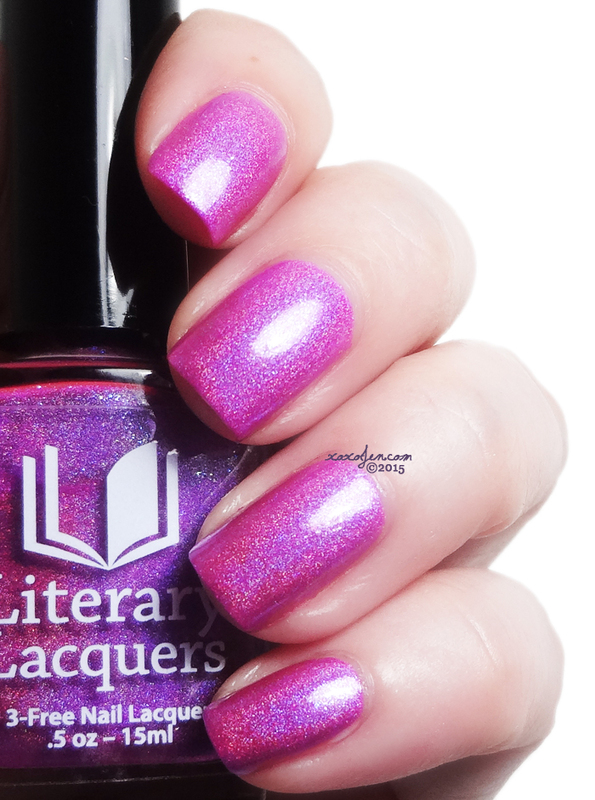 Wherever Is Your Heart - Magenta-purple linear holo with aqua shimmer. The name is from The Alchemist by Paulo Coelho. I was absolutely wowed by this polish when I unwrapped the bottle and even more so after applying it. It's such an electric color and the flakies just flash like a disco ball! I'm completely over the moon with this polish! 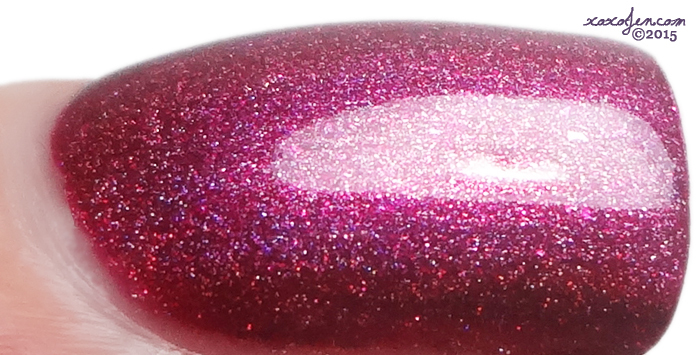 Two coats for opacity and a perfect formula. 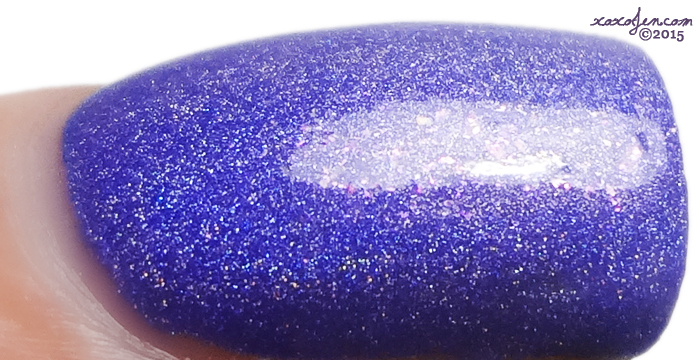 There Is Your Treasure - Periwinkle linear holo with pink shimmer and flakies. Such a beautifully done perwinkle! 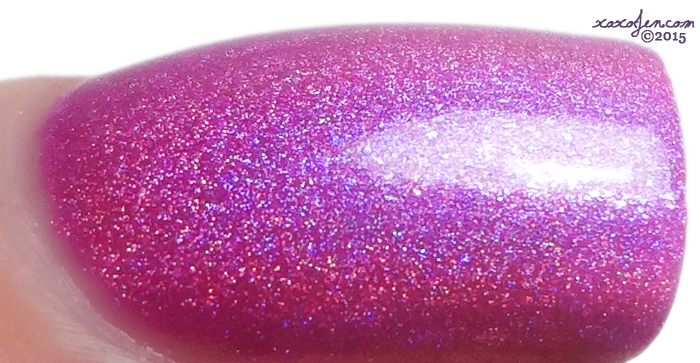 You may be thinking there are similar shades to this out there, but they are lacking the sparkly flakies this one has! Opaque in two easy coats. 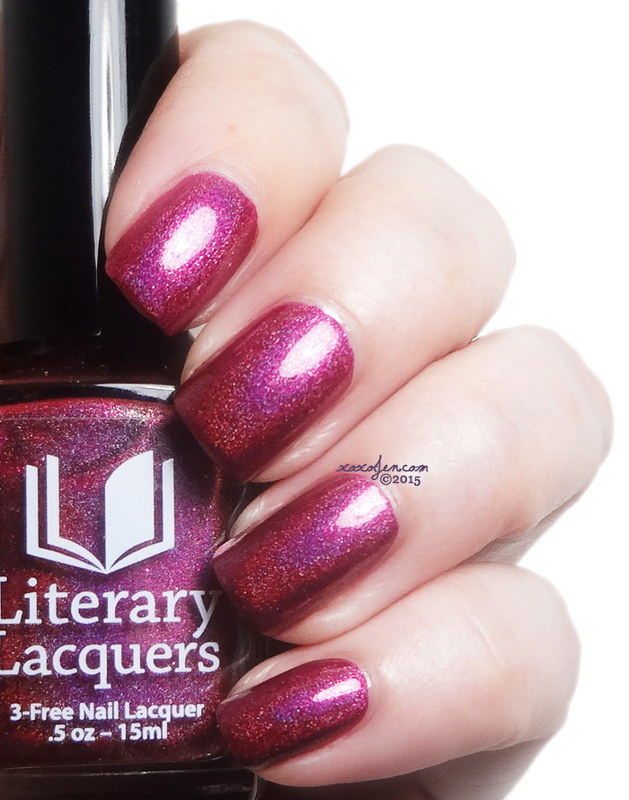 For the Rest of Us - Cranberry chrome linear holo, part of the Festivus for the Rest of Us duo with Nvr Enuff polish. I love the teeny tiny micro glitter in this, unusual for sure. 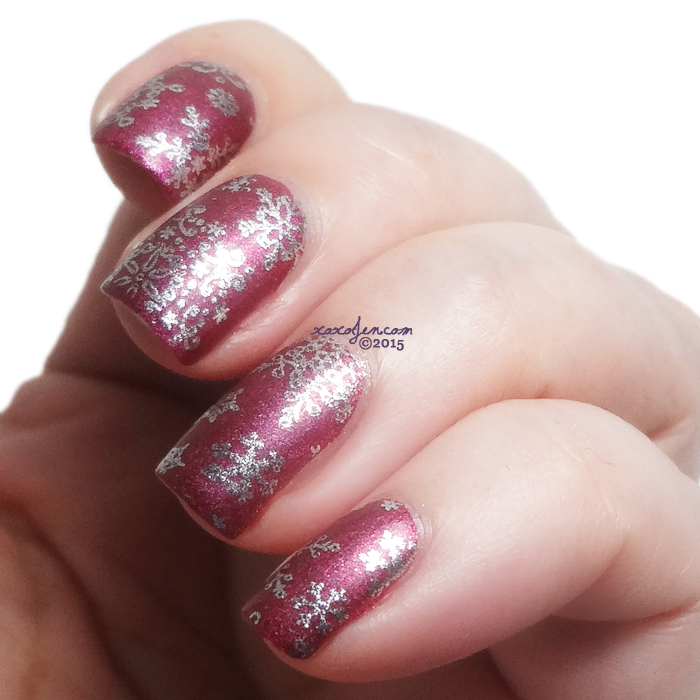 I wore two coats, but this polish is more opaque than most LitLaq holos. If care is taken, I think this could be a one coater. How do you get into this secret HHC group? The simplest way is to have friend already in the group add you. Or find me on facebook, I'd be happy to add you. Etsy Shop - MUST be an HHC member to purchase these, else the order will be refunded. All of the colors are just so lovely. 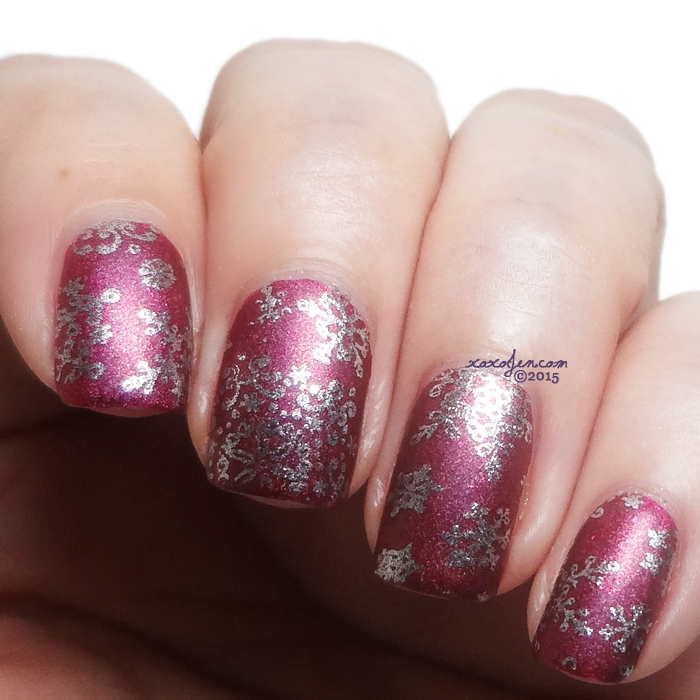 The nail art with the snowflakes are pretty too. I think I'll be purchasing the blue & the cranberry colors. Beautiful photos! thank you for the A++ review, much more complete than swatch photos alone for those of us debating the HHCs before the month's out. and LOVED the stamping you did!